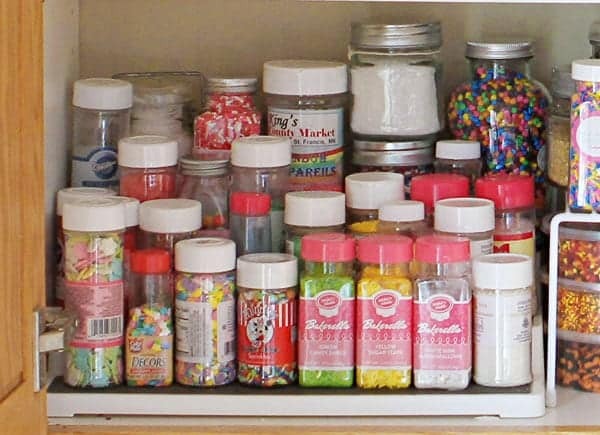 I found this picture of my sprinkles cabinet that I took last year. After I took the picture I immediately started organizing. This was no small feat. Just look at how disgusting the space is! I have frosting in there (no idea how good it was! 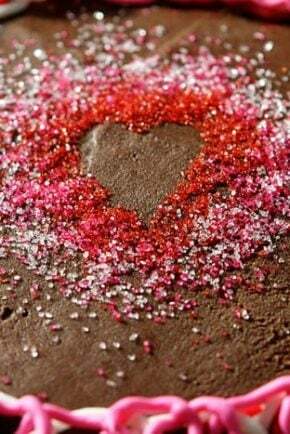 ), random icing tips everywhere, old liners, even medicine! NOT good. So I took everything out of the cabinet and got rid of what didn’t need to be there. 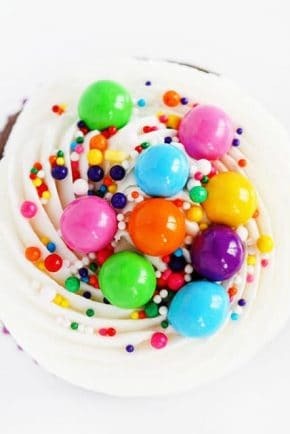 All the sprinkles needed to go together. 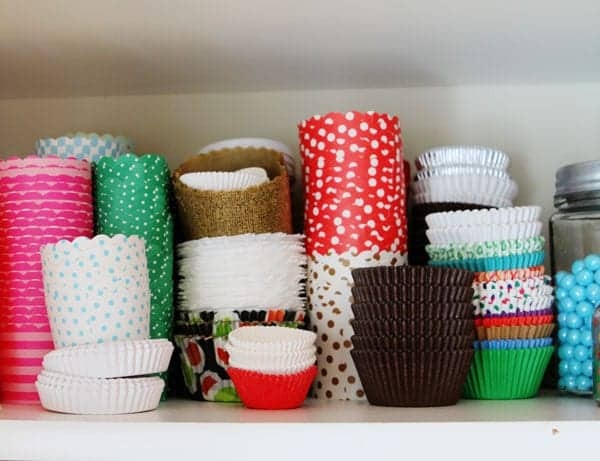 All of the cupcake liners needed to be stacked. All of the boxes of food coloring needed to be edited. Basically, I wanted it to look pretty. I started with the sprinkles. I had this spice rack before and decided to keep using it. But I had far more sprinkles than I did room on that rack! 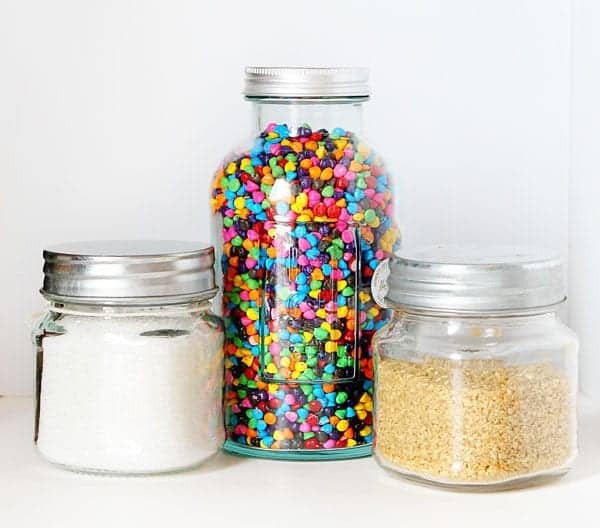 So some are stored in sealable plastic containers and some are in jars. The small jars are from the $1 bin at Target and the larger jar is from Homegoods. 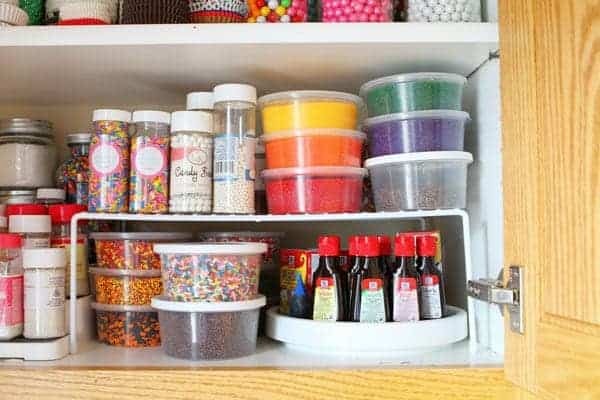 I use a ton of these sprinkles and had 3-4 bottles of each. Consolidating them into a little jar was a pretty and space saving option! Next came the decorative sugars and food coloring. I used those sealable plastic containers for the sugars and then a lazy-susan for the extracts. I am a little obsessed with that lazy-susan as it works perfectly in this space! Moving up a shelf, we see the Sixlets. Those used to be in the cardboard boxes they arrived to my door in. 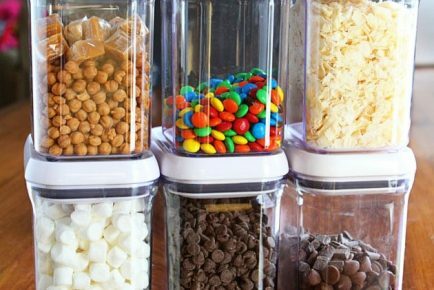 These jars (also purchased at the Target $1 bin) are the perfect solution. I can see exactly how much I have, what colors I have, and can even organize the colors for the season! I have pink, red, and white towards the front for Valentine’s Day. Now, you may have already noticed that my liners are just sitting out. I used to have them in pretty jars, but actually found it to be a hassle when trying to use the liners I wanted. Now that I have a designated section where they all can be, they are no longer in random spots all over the cabinet and my kitchen. With the varying shapes and sizes, this method actually works really well. The top shelf was designated for the things that I do not use as often. This little basket is for pretty twine (which I am obsessed with) and decorative bags and things used to package up baked treats. Next to that is a couple of my most used mini cake stands. 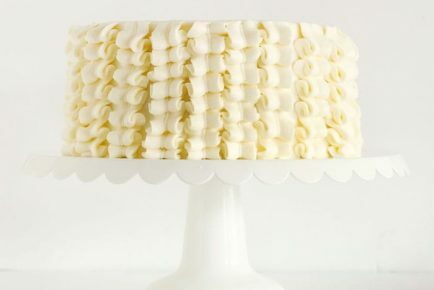 These end up working beautifully with cupcakes and mini cupcakes and I like being able to have quick access to. On the far left is other misc. food coloring, some cookie cutters, and other random stuff. Ready for the complete big reveal? This is a highly functioning and (in my humble opinion) really pretty cabinet! I am really happy with how it all came together! 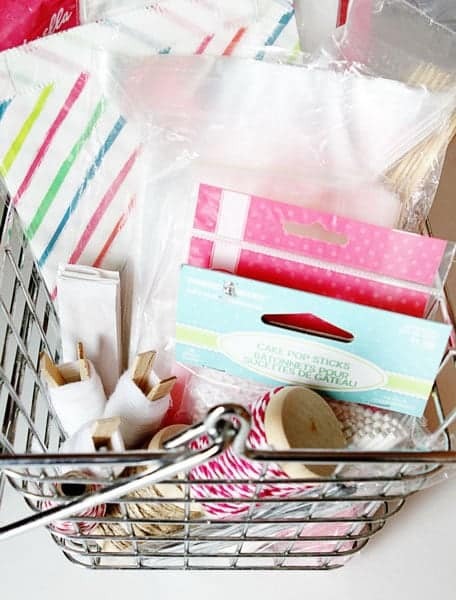 How do you store your baking supplies? 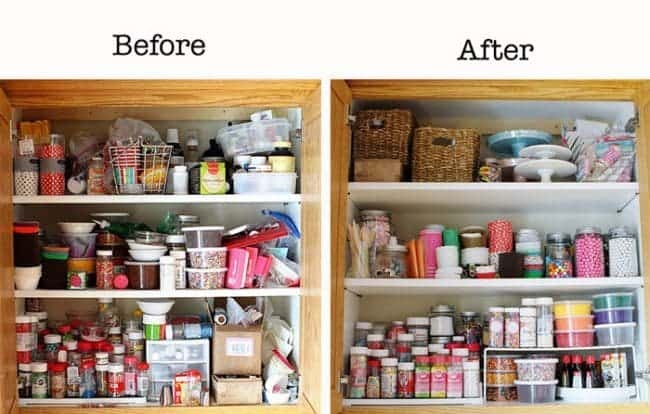 You can see my PANTRY Before & After HERE. 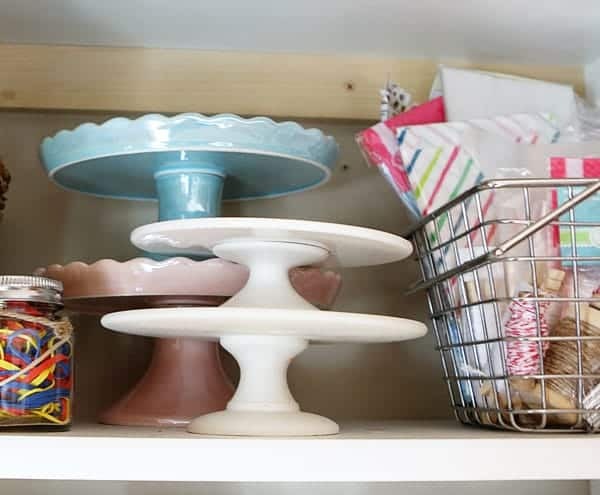 And my Cake Stand Closet and Cake Stands 101: What you NEED to Know! LOVE it!! 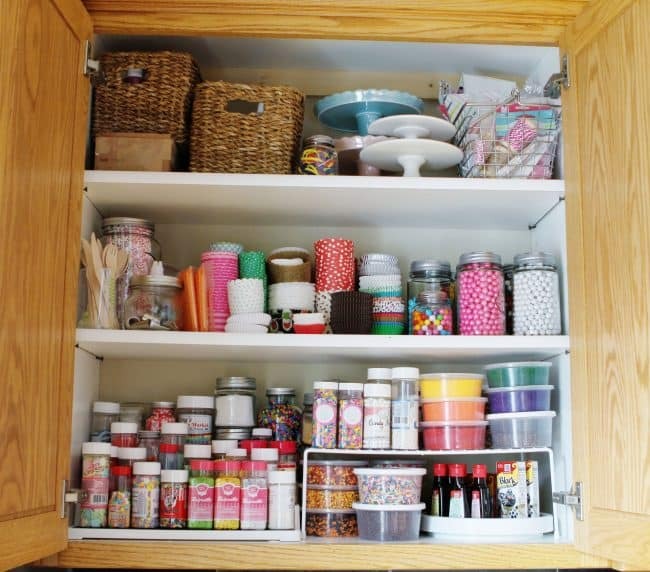 Wish my cabinets and closets were organized. Looks amazing! 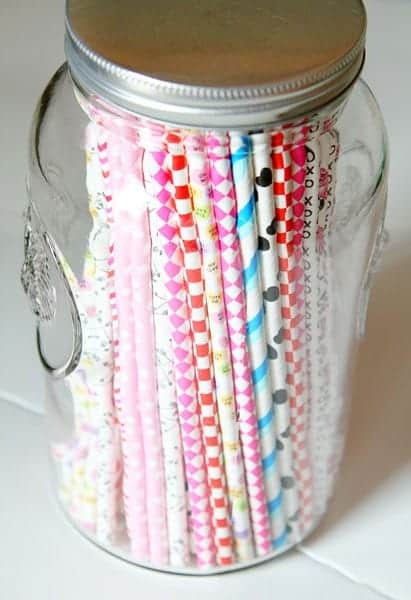 One more hint that I found on Pinterest put the cupcake liners in mason jars as well! 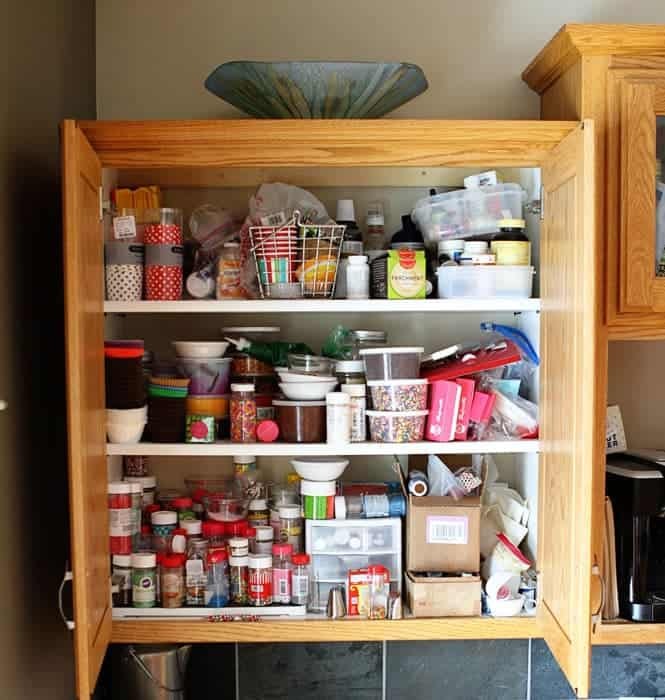 My pantry is for everything but would love a designated baking one. I love to organize it & use a lot of the plastic bins. Recently I bought a few with lids & they stack which is nice. I also have found that using square , versus round, storage containers saves a lot of space & make it easier to move things around. OXO has square ones but some other brands do as well. I love your baking cabiet. It looks so beautiful. 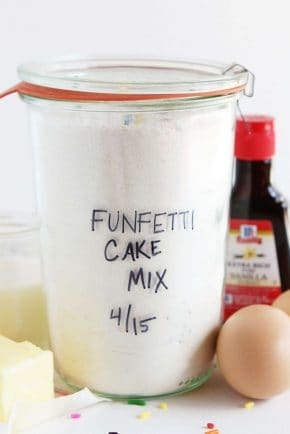 I need to do this, all of my baking supplies are in a large clear plastic container. I didn’t really have the space before but we are putting an island in our kitchen so I think it will be doable now. Thanks for the inspiration! as an awesome baker that you are, I believe you must have tons of baking sheets and baking pans. 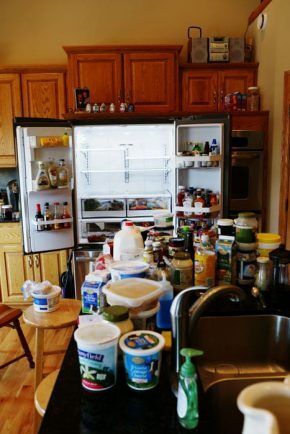 I am struggling to find the best to organize my cabinet with it. 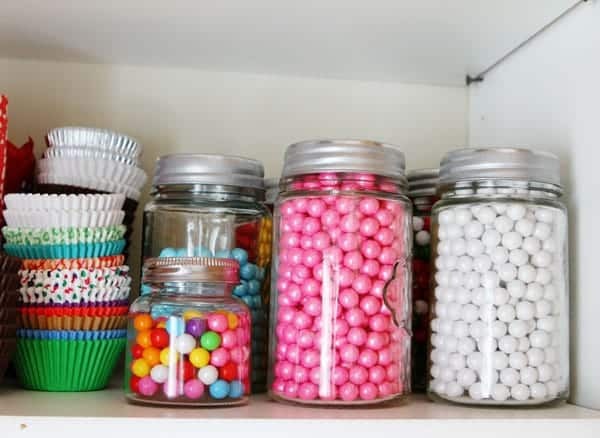 Can you share with us how do you do to keep yours organized? I love your website and I already tried several recipes with success. I currently have my baking supplies in five & three drawer organizers. In the drawers themselves, I have little desk trays & drawer separators. One day I hope to have a room! 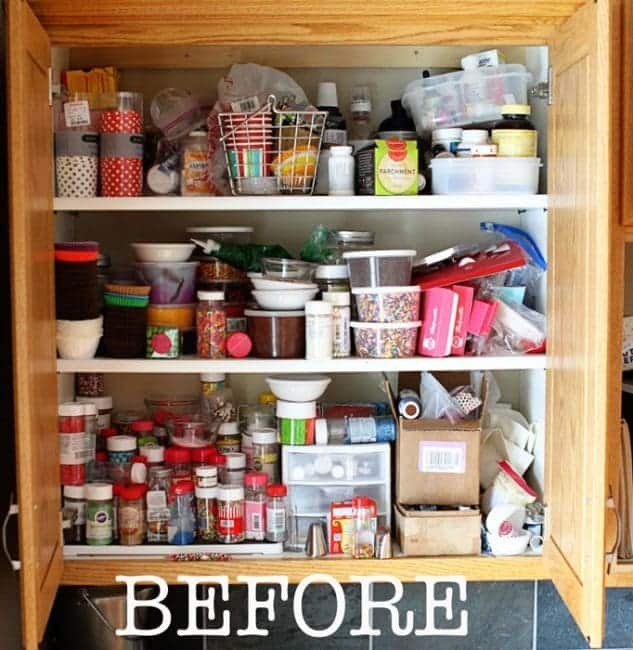 I am facing much the same delimma except I have to rebuild and expand my little pantry into an adjoining closet. I love Oxo containers because they are square & don’t waste space. You could have used one for your straws. Have you ever considered using Lozier shelving that uses standards on the walls that hold shelf brackets. This makes the shelves adjustable and eliminates those space hogging brackets you have now. Every shelf can be its own product line. I am going to use the door for my spice racks on the kitchen side and storage for small items on the inside. I only have 4 drawers in the kitchen for very little storage. I have had to use a closet in a bedroom/office for my pantry/storage. When we are finally done I hope to have everything back together again. We had 6 kids who are all grown up and on their own now. I wish you the best in the new year and keep up the good work with your blog. I love it.